Jenn Dugan didn't wear makeup until after she graduated from college. Well, that's not entirely true. There was a goth period in high school in East Greenbush, but she doesn't really count that. 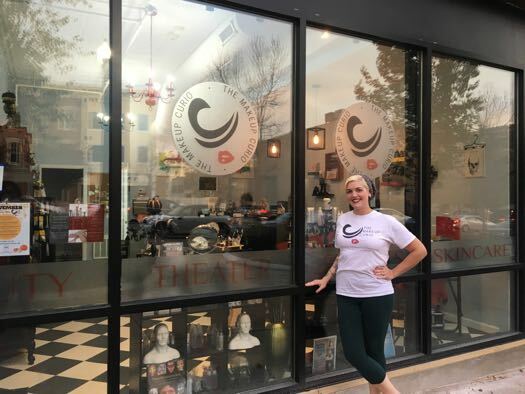 She studied fashion design at Marist College where she started costuming plays and became a self-proclaimed "theater nerd." After school, she worked in New York and Seattle, and traveled the country as a costume designer and dresser. In regional theater, costume designers often design makeup as well. So, out of necessity, her next career was born. She studied books about theater and film makeup, attended trade shows and experimented with characters and special effects. And she enjoyed it. 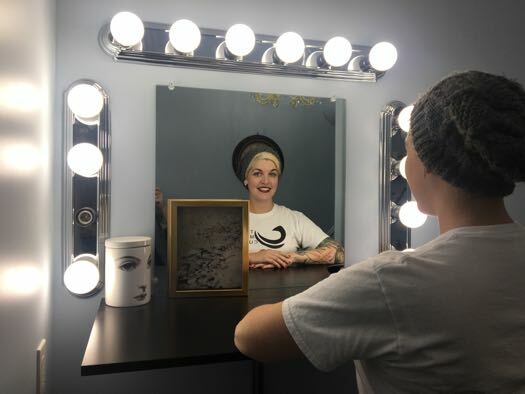 When she returned to the Capital Region to be near her family, she quickly gained a reputation as a makeup artist. 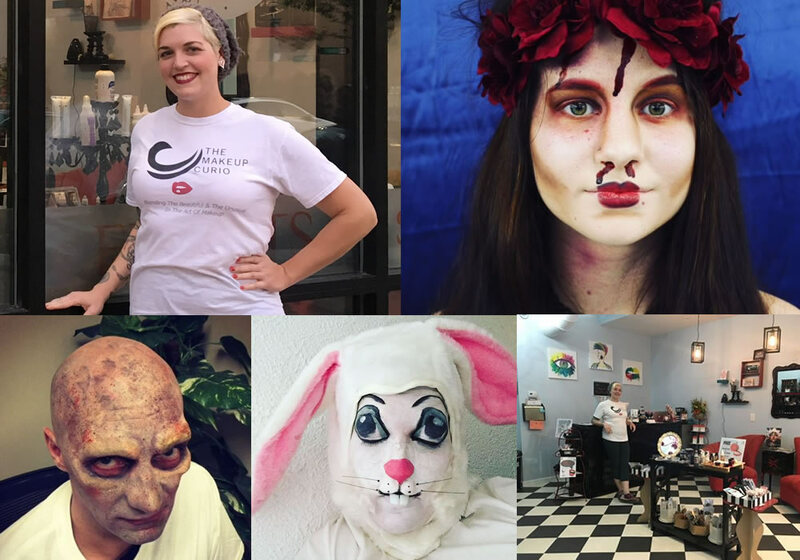 Earlier this month Dugan opened The Makeup Curio, a makeup and esthetics salon in Schenectady where clients sometimes leave looking stranger than they did when they entered. You do regular makeup and special effects stuff. Which do you prefer? People ask me that all the time and I just can't decide. I like doing the creative stuff -- that is its own satisfaction. But I also get so much satisfaction from seeing someone who can't stop looking in the mirror, that is awesome. Right now we're doing more beauty makeup than special effects -- and facials. 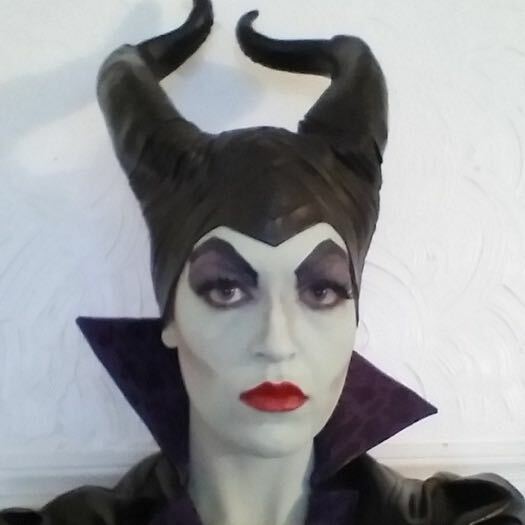 But I'm also looking to work with schools and community groups, teaching theater makeup. We know makeup has an effect on the people around us, but how does it affect the wearer? 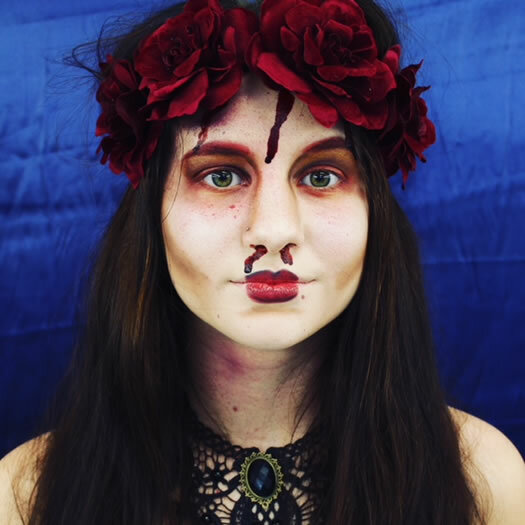 Once I started getting into theater makeup, I started getting into the beauty makeup myself. It's not that much of a stretch, beauty makeup from stage makeup. It's heavier on stage but you're still putting contour under your cheekbones, you are still doing the same stuff. It's just not as heavy. I started with theater, when I saw how beautiful you can become. "When I put lipstick on I feel so powerful. It doesn't matter what color I'm wearing, but to me it just feels like a powerful statement." Now I'm almost always wearing lipstick. When I put lipstick on I feel so powerful. It doesn't matter what color I'm wearing, but to me it just feels like a powerful statement. Whenever I've done a private makeup lesson, there is always one instant click of "that is just what I needed." It's a level of confidence that builds from just doing little things. I don't mean a full face. Not everyone needs a full face. Not everyone wants a full face. You shouldn't have to cover up stuff, it's more enhancing. But I'm telling you -- lipstick. If i'm ever going to something and need to feel confident, lipstick is a must. And when you put makeup on performers, you can hear it in their voice, you can see it in their walk. I don't act, so knowing I can help with that transition that is really cool. What's the weirdest job you've done? Weirdest job? Oh dear... the weirdest stuff is the stuff I usually make myself into. There's this weird hag thing I do because I have these really cool teeth. I made myself into Deadpool recently. 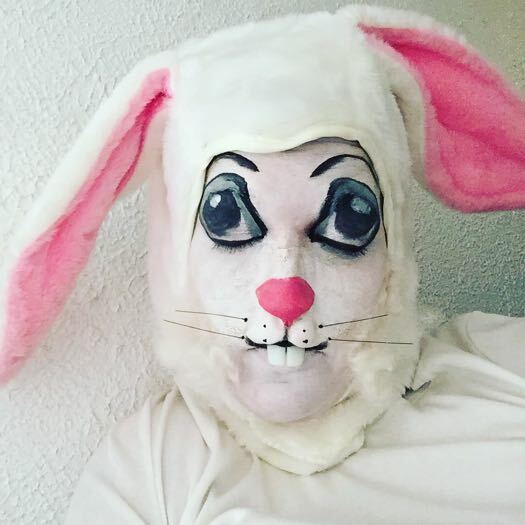 And there's a creepy bunny -- I did it as fun... like for Easter -- but people thought it was really creepy. What's the most common special effects request? I have a Two Face I'm doing Friday. I'm doing a White Walker this weekend from Game of Thrones. I'm excited for that because I know it will be a challenge. I think it depends on the trend of the year. Steampunk is a trend this year, but zombies have never died. And they don't. They literally don't die. 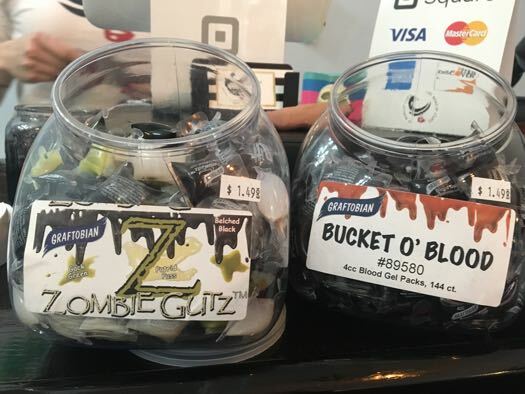 What's the key to a good zombie? 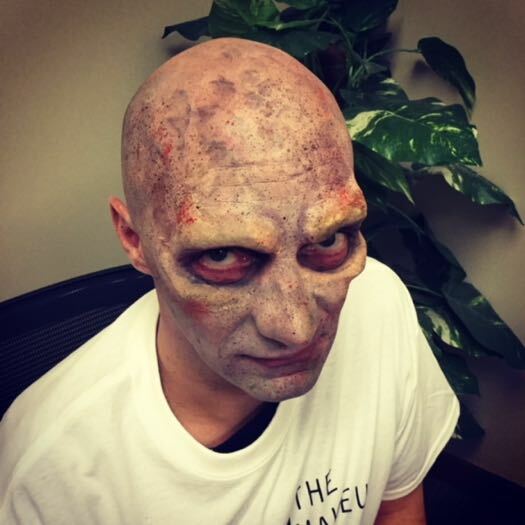 The key to a good zombie is the shading around the eyes. If they don't know what they're doing it's just black around the eye. If there is more shading, or a little blending, it will look a little more realistic. If it looks like someone drew with crayon around they eye, that's amateur. Cuts and bruises are the simplest things that can have the biggest impact. But I always try to go for realism. How do you make it look real? I follow a coroner on Instagram now that posts pictures of legit injuries and diseases and severed limbs. It's very graphic, but I find it very cool to look at those -- not for the graphic part, but to to look at colors and textures and actual anatomy and how things are broken. It can be very gross and morbid. I have no problem with blood or cuts, but what bothers me is actual facial deformities. Does applying it ever gross you out? Nooo. Putting it on people is the fun part. Like painting on a canvas. The blood stuff is really fun. 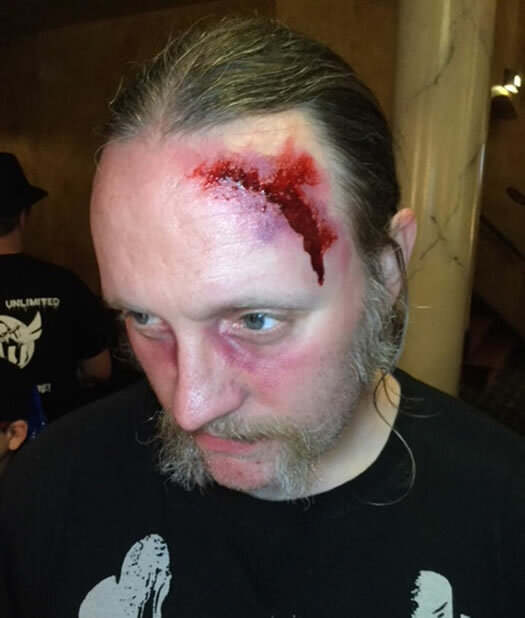 There's types of blood out there -- not A and B and O -- types of fake blood. The jelly stuff, the runny stuff, the syrupy stuff, the spray stuff. That's what I do now -- I play with blood and I play with lipstick. I have a couple of shirts with red stains on them and I'm not sure if they are blood or if they are lipstick. I look at myself sometime and think this is ridiculous, but I'm so glad this is my life right now. You took a big leap to get here. A year ago, this stretch of buildings in Schenectady was dark, now there are three businesses here. What made you open up a new business here? It's kind of cool, right? Capoccia Wine Bar opened last year, Slidin' Dirty in the spring. [The developer] Jeff Buell really cares about revitalization, and by happenstance I connected with him and I thought it was time. 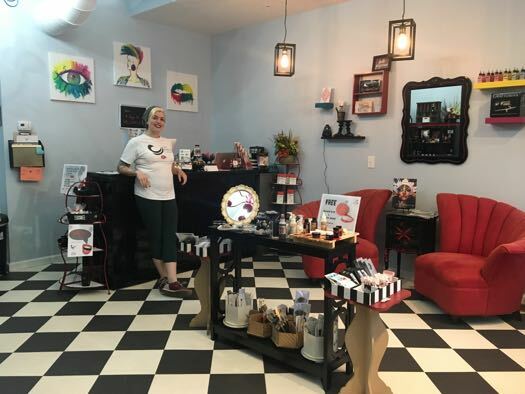 When I made my business plan in May of 2016 I had an open-ended description of the kind of place I wanted to be, but I knew it was going to be Schenectady. Schenectady reminds me of Seattle a little bit . There's a thriving central downtown, unique neighborhoods close enough to walk to downtown. There's the CDPHP Cycle now. There is easy bus transportation if needed. We are right next to highways. That stuff that reminds me of Seattle. It's just city enough for me. And I wanted to be near at least one or two theaters. Whether or not I work directly with them, there is an energy about theater. We've got Proctors, we've got SLOC, we've got Schenectady Civic. I worked with Proctors teaching makeup for their youth production of Pippin this summer. I also wanted to be within a mile or two of at least one college. I've got Paul Mitchell up the street, SCCC, Union. You've got parking lots with two-hour free parking. You can walk and explore retail and restaurants and coffee shops. There is stuff to do. Very interesting. I especially like the the rabbit and 'witch' (evil queen?) in the photo. Good luck.